The recent strikes by the University ad hoc teachers still go unheard as the University approves contract hiring of teachers for vacancies. 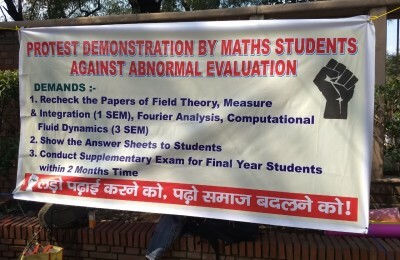 The 17 th January march by Delhi University Teachers’ Association(DUTA) at Ram Lila grounds sems to turn unfruitful as the University approves the contractual hiring of teachers after introducing ordinance XII E, enabling the hiring of contract-based lecturers who will be employed for vacancies spanning one year. This was passed with a provision to have 10 percent of the permanent positions as contractual appointments. 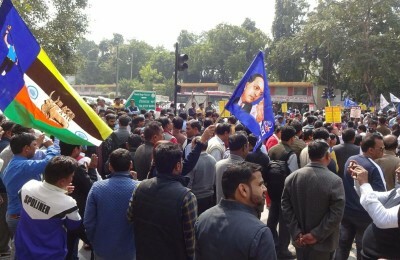 DUTA conducted a long march on the 17th January 2019 from Ramleela Maidan to Parliament Street in lieu of the several demands placed by them, including the proper absorption of the ad hoc and temporary teachers through a one-time regulation into the university, the resolution of the reservation issue through an ordinance and the restoration of the 200 point roster which the Supreme Court set in July 2018 which treats university/college as a unit. 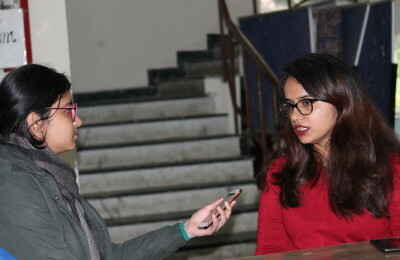 This became necessary after the recruitment policy in the University observed a halt on account of a letter drafted by the University Grants Commission, dated 5th March 2018 which asked the colleges to implement reservations by considering the subject as a unit, resulting in a significant reduction in the jobs for the reserved castes. 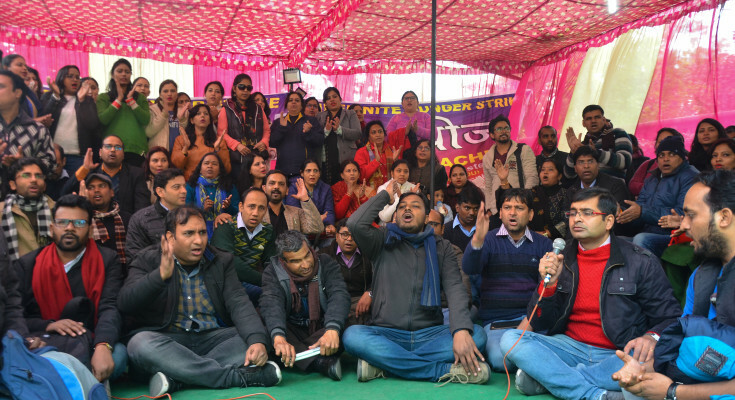 The DUTA strikes have been an ongoing struggle as protests began on 2nd January 2019, when the professors across Delhi University agitated against the unavailability of permanent positions, pensions, and maternity leaves for the ad hoc teachers. Such demonstrations and protests have been witnessed in the past too, but to no avail. The strike had more than five thousand people, including the teachers and students as active participants. The march was initiated from Zakir Hussain College at 11 AM and continued to Ramleela Maidan and Parliament Street. The protestors were detained by the police and lathi charge was issued on them, leading to many teachers and students suffered injuries. The introduction of the contractual appointment as a response to the Ministry of Human Resources Development in these teaching positions will not lead to any substantial benefi, as it will create a feeling of insecurity among the ad hoc teachers who are already agitating against their lack of employment privileges. The present situation still does not have any tangible outcomes, despite the active protests. 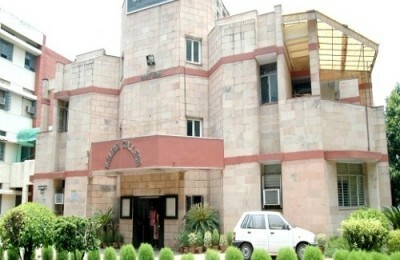 The University has not issued any recent statement on the same issue, providing a bleak future to the entire agitation.